That’s how I roll … day by day. What else can you do when your son is in a war zone? Each day is like “Groundhog Day” , just not as funny as the movie. Wake up, say a prayer for my son, check the online news to see what happened in Afghanistan while I was sleeping, read an inpirational Biblical verse, get ready for my day. That’s just the start of the day. As the day wears on, I say a prayer every chance I get, I look for messages online from my son so I know he is OK, and I try my hardest to be a responsible professional career woman, family member, and friend; as well as lead an active life. Before I lay down to sleep at night, I read the news, say a prayer, read a biblical verse, and pray myself to sleep. Sometimes I cry, I can’t help it. The next day, I wake up and do it all again. As time goes on, being the Mom of a son deployed to a war zone has not gotten any easier. I am a Proud Army Mom. I cry and pray for fallen soldiers and their families. I celebrate for soldiers that come home safe. I feel sad for soldiers that come home injured. I stay Army Mom Strong, taking it day by day, supporting my son 100% while he serves in a war zone. I recently stumbled across your blog when I was looking for information about sending care packages. I am the incredibly proud sister of a Marine (Ooh rah!) 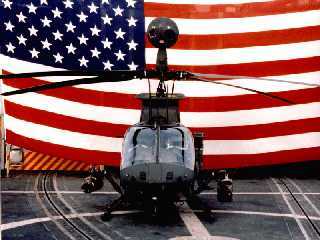 who is deploying to Afghanistan tomorrow. I have always been a supporter of our military men and women and their families, but actually having my brother deploy is an entirely different experience. I want to thank you for this entry. Even though my brother has not left the States yet, every mention of “Afghanistan” causes my heart to race and I feel stick to my stomach. I know that the next seven months are going to feel like seven years but I am resting in God’s Word and the knowledge that he and his fellow Marines are well-trained. Thank you again for your voice in support of all our military men and women! I just found this website and read “Day by Day by Day by Day …” My son is deployed to Iraq right now and may be going through a divorce . I start my day off with prayer and like this store I pray all day every time I get a chance. I find myself crying all the time some time can’t control it. It’s so hard. All I can do is pray and ask for God’s help. Check my messages see if anything is from my son. I feel this pain and there is no way for it to go away until my son comes home safe. Thank you. I read Day by Day by Day………and felt like someone had looked into my life and my heart and written about what I feel daily. 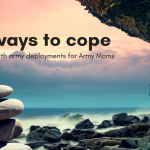 Deployment is an exercise in heartache, prayer, and digging down deep to find that inner strength you didn’t know you had. It helps somehow, to know there are others who truely understand what I go through. Thank you for this piece! I have always been a supporter of our military men and women and their families, but actually having my brother deploy is an entirely different experience.